Here at Hackaday we are willing to bet that in a universe free of all monetary constraints, many of our readers would leave their day jobs in order to pursue their hardware hobbies full time. Obviously this is only practical for a lucky minority of people (for a wide variety of reasons) but we’re willing to bet that a significant stumbling block is figuring how to do it in the first place. You quit your job, but then what? If more information about starting and sustaining small hardware business’ was available more people would take the plunge to start one. There are software companies with salary transparency but this is only part of the picture and we can’t think of many hardware companies that offer the same. What we really want is to get an image of the entire business end to end; from suppliers to COGS to salary. And we want to see it for hardware. 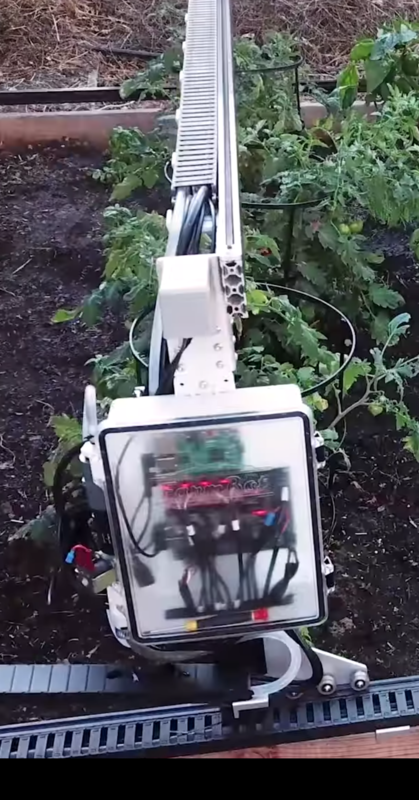 Years ago the first and second Hackaday Prizes captured an entrant named FarmBot whose goal was to build open source robotic farming equipment to make it easier for anyone to grow their own food. A few successful Kickstarters and years later they’ve been shipped multiple versions of the Genesis and Genesis XL robotic farming system and have a sustainable business! And now they’ve decided to open source their business operations too. Suffice to say, this provides quite an uncommon view into the guts of what makes a small open source hardware business tick. Let’s take a closer look! There is a wealth of information exposed in the company documentation; it’s as though they took their internal wiki and made it public, which we suppose is exactly what happened. The most interesting part for our readers might be the statistics page that tracks costs and quantities for their products. This is where the magic lives. You can use to it see that so far they’ve sold 124 Genesis XL machines at an average selling price of $3,834.34 for $475,458.30 of revenue (it cost $187,200 to build their run of 200 machines). You can also see that each machine has 1,415 parts and takes about 25 hours to assemble. This page is where the true guts of the business live. Everything else is here too. Here’s where you can learn about what vendors FarmBot uses use logistics, or power, or web infrastructure monitoring. And this is the page with the infamous salary calculation formulas if you want to guess what you’d make as an employee. Then there’s a bunch of boring but important stuff. Fulfillment processes live here, and the consumables they use to support that fulfillment are listed here (with costs!). One reason we enjoy open source so much is that it affords a wonderful opportunity for people to learn instead of keeping the important parts of a product or process perpetually under wraps. We’re hoping that documentation like this becomes more prevalent and foster an explosion of small hardware companies to follow it.